and lead me in the way everlasting (NIV). In my opinion, Psalm 139 rates in the top ten of the 150 psalms in the Bible. Many find deep comfort and encouragement in it. 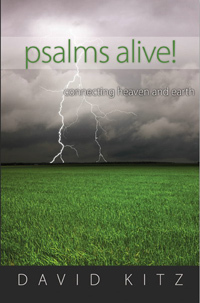 It is arguably the most intimate or personal psalm. Take a minute to read the entire psalm and you will see for yourself why I draw these conclusions. The Psalm begins by pointing out the futility of fleeing from God. We can’t hide from Him though we may try. The prophet Jonah discovered this truth the hard way. In Jonah’s case, it took three days and three nights in the belly of a huge fish to come around to right perspective. See Jonah 1 & 2. How long does it take for us to realize how foolish it is to run from God? I dare say some of us sink below sea-level before the wisdom of Psalm 139 takes hold. Though the psalmist begins by discussing the futility of hiding from God, he concludes by asking for God to search his heart. He willingly comes before the LORD and asks to be tested. That takes humility and courage—more humility and courage than many of us can muster. Search me, God, and know my heart; test me and know my anxious thoughts. This appears to be a very straightforward request, but there are intricacies to this statement that deserve some careful consideration. Does God need to search my heart? Does He need to search for anything? Not really. He already knows everything that’s there. I’m the one who doesn’t know what is in my own heart. I’m the one who is surprised when some emotion is triggered, or I react in an unpredictable or irrational way. Do I understand my heart? Do I know what is lurking down there? My knowledge is partial at best. Self-flattery and subtle forms of self-deception can blind me to what is really in my heart. When we are asking God to search us and test us, we are really asking to begin a process of self-discovery. We are exposing our soul to God, so He can point out what is there. Then you and I can repent and turn our heart-hidden sins over to God. I cannot trust myself to see and acknowledge what is there. I need God’s help. By nature I am a hider. Jesus is the Great Seeker. Remember he came to seek and save the lost. See Luke 19:10. Jesus is the one who can see if there is any offensive way in me. He is the Good Shepherd, the one who will lead me in the way everlasting. When I freely confess my need for him, his blood cleanses me from the darkest sins. Real freedom for us begins with exposure—exposure to the penetrating searchlight of God. Response: LORD God, you know my heart. You know what triggers my wrong responses. Search me and show me what needs to change and how to make those changes. Lead me in the way everlasting. Amen. Your Turn: How well do you know your heart? when I awake, I am still with you (NIV). Psalm 139 is a psalm of incredible intimacy—divine intimacy. God knows us; sees us; loves us like the LORD only can. He has known us and cared for us from the moment of conception. We need to make that statement personal, because it is personal. The Almighty has known me, and cared for me from the moment of my conception. Last week, I had lens replacement surgery on my left eye. The same surgery was done on my right eye three weeks earlier. This highly skilled tinkering with my eyes has left me in awe of the gift of sight. What a miracle! Yes, the surgeon worked wonders. My sight has been restored without the need for eyeglasses—something I have needed and have worn since the age of eight. Now for first time in 58 years, I can roll out of bed and not reach for my glasses. What I truly appreciate is the original miracle—the gift of sight itself; a gift we are born with. Because the miracle of sight is so universal, we take it for granted. But when that precious gift is lost or threatened we appreciate it again with new eyes. I join with the psalmist in making this declaration: I praise you because I am fearfully and wonderfully made; your works are wonderful, I know that full well. God took the time to knit you together in your mother’s womb. You can be sure He didn’t miss a stitch. You were formed according to His plan to live for His purpose. Wow! What an awesome privilege. And all the days ordained for [you and] me were written in [God’s] book before one of them came to be. Response: LORD God, thank you for the gift of life, for sight, sound and touch. You thought of me. What joy that brings! Help me to live the days assigned to me with gladness and gratitude. Amen. Your Turn: Do we take our physical gifts for granted? How do you cultivate an attitude of gratitude? for darkness is as light to you (NIV). One of my favorite games as a child was hide and seek. Whenever a group of kids got together, it wouldn’t take long before someone would say, “Hey, let’s play hide ’n’ seek.” We settled on who would be the seeker, and off we went, happily playing until the adults eventually called an end to our fun. I preferred being the hider rather than the seeker. What about you? There seems to be something fun, even natural about hiding. We should be good at it. Humankind has been hiding since that fateful day in the Garden of Eden. After willfully disobeying God, what was the first thing Adam and Eve did? They hid. First, they hid their nakedness from each other; then they hid from their loving Creator. Humanity has been playing hide and seek from God ever since. And yes, we are the hiders. We should be the seekers—seekers after God. Instead we find ourselves hiding our sins and hiding from our God and Savior. What utter foolishness this is? The psalmist expresses this reality so well. Where can I go from your Spirit? Where can I flee from your presence? If I go up to the heavens, you are there; if I make my bed in the depths, you are there. We can’t hide from God? Why can’t we, you ask. Because He is God—all knowing—present everywhere. This behavior—this hiding from God—is nothing more than profound stupidity on our part. Why do we even attempt such an impossible feat? Are we so blinded by guilt and shame that we can’t face the One to whom we must give an account? But the Grand Accountant has also provided the remedy for our sin and the guilt and shame that follows. The remedy is the blood of Jesus. He is the atoning sacrifice that brings us back into fellowship with God. He became one of us so he could lead us, like errant sheep back to our Father God. There is no need to hide. Speaking of himself, Jesus said, “For the Son of Man came to seek and to save the lost” (Luke 19:10). Response: LORD God, you know me. You know all my sins, my weaknesses and shortcomings. Yet you love me. I bring all these things before you. Wash me clean. Jesus, your shed blood is my remedy. Amen. Your Turn: Have you been playing hide and seek with God? Is it time to stop hiding and start seeking? too lofty for me to attain (NIV). Last night I got a phone call from my son. The long search was finally over. The gift had been found. This morning, I met him at church, and he gave me this semi-precious gift. What is it you ask? It’s a necklace I purchased for my wife in a grand, continent-wide conspiracy of love. Last June my wife made a solo trip to Edmonton to visit her Dad. While there, she went shopping with one of her friends, and fell in love with a cut rock necklace. This friend secretly sent me a message inquiring if I would pay her to purchase this rare find. Without hesitation I agreed. I always find it difficult to buy jewelry for my wife. I never know what she might like. Furthermore, our 40th anniversary was coming in December. What a delightful surprise this gift would be! A few weeks later my son and his wife went on a business trip to Edmonton and they brought the necklace back with them, and I secretly mailed the payment to our friend. All of this was working out so well—too well! Only a father and son team of bumbling males could mess this up. And they did. June to December is a long time—enough time for me to completely forget about this necklace. We had a great anniversary celebration, but all the while I had this niggling feeling that I had forgotten something. Two weeks later I got a text message from our mutual friend in Edmonton inquiring about how Karen liked her necklace. Oops! This sent me into a frantic search for my precious gift. I must have hidden it in a safe place. In desperation I called my son. He also searched—all to no avail. We concluded that God knew exactly where the necklace was and it would be found at the right moment. Well, yesterday that moment arrived. In God’s perfect time, Karen will get her necklace. Today’s psalm reading speaks of God searching our hearts. Does God really need to do that? I doubted it. Jesus knows exactly what is in there. See John 2:23-25. We are the ones who need to search our hearts. We don’t know what is hidden inside us. Is it rotting garbage or something precious? Response: LORD God, turn on your light inside of me. You know my deep hurts and inner struggles. You are familiar with all my ways. Cleanse me from within. By grace and faith, I am your child. Amen. Your Turn: Have you been hiding things from God? How foolish is that?